THE BOMBING OF MASTER HAN DAN. Taitung’s most popular Lantern Festival activity only began in 1954, and is intimately tied to the gangsterism that has long plagued small-town life in Taiwan. Called Bombing Master Handan, the festival is, depending on which legend you believe, a celebration of a former Shang dynasty general (and god of wealth and war) who hates the cold, or a more recent thuggish leader who asked for his followers to blast him to death in payment for his crimes. Either way, ‘warming’ him with firecrackers and bottle rockets as he passes by is considered a good way to win this god’s favour. The twist in the Taitung festival is that volunteers accompany the Handan statue on his platform as he is carried across town. Wearing nothing but red shorts and a few protective items (goggles, gloves, scarf, amulet), they willingly subject themselves to the same treatment Handan is getting. Few last more than a few minutes of the barrage, which is one reason why this strange festival is linked to organised crime: today, as in the past, many of the volunteers are current or ex-gangsters looking to show their courage, or atone for their sins. 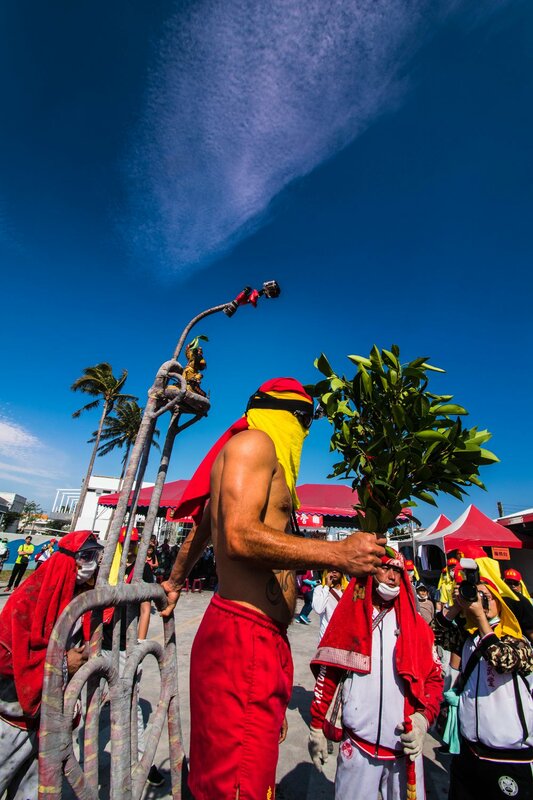 Though banned for years because of its connection with mobsterism, the festival has been growing in popularity in recent years, and is now up there with the Matsu Pilgrimage, the Yenshui Fireworks Festival, and the Pingxi’s sky lantern release as one of Taiwan’s top folk events. The festival took place early March and WaGaLiGong’s co-founder Mark Jackson couldn’t resist taking part in the festivities. This was his third ‘bombing’, the first being in 2008 and the second in 2013. Seems to be a five year itch. 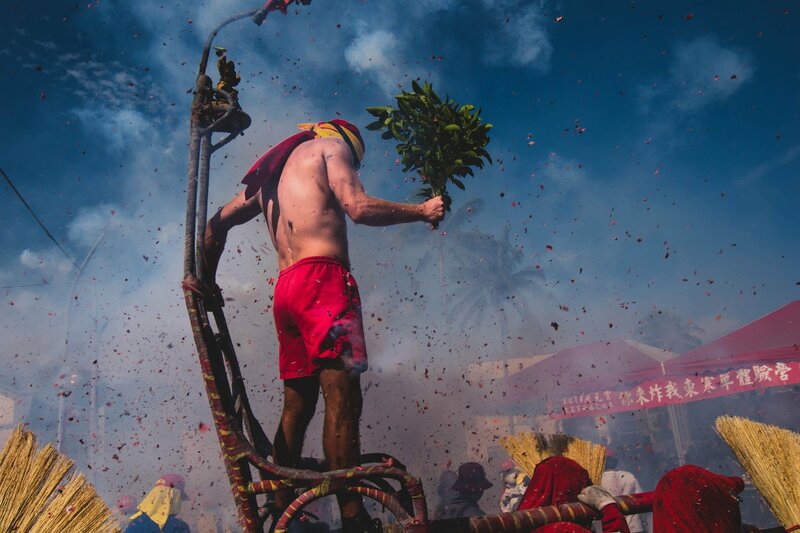 Were you here to watch the havoc and mayhem unfold as Taitung’s streets were overrun by gods, dragons, and demons, while Han Dans were being bombed and cooked alive? Watch the video below, taken from WaGaLiGong’s short film ‘Monsoon’.